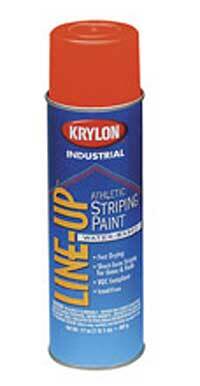 The water-based Line Up from Krylon Industrial is athletic field spray paint designed for striping grass fields or for other short-term striping projects. Available in many popular athletic colors and with non-clogging spray tips. The paint is VOC compliant and free of lead hazards.